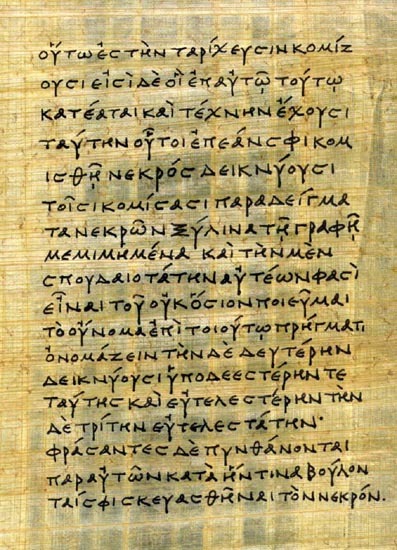 Herodotus, b ca 485 BC in Halicarnassus, Asia Minor, d ca 425 BC in Athens or Thurii, southern Italy. 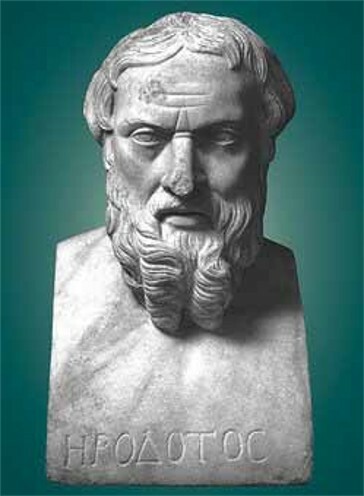 Greek historian of the Greco-Persian wars, known as the father of history. He traveled widely throughout the Middle East, North Africa, and southern and eastern Europe, including the territories of present-day Ukraine. In the fourth volume of his History he describes the Dnieper River, judging it to be the most useful river in the world after the Nile, and the territory, customs, and life of the Cimmerians, Taurians, Scythians, and other peoples of the region. Archeological excavations have confirmed many of his observations.